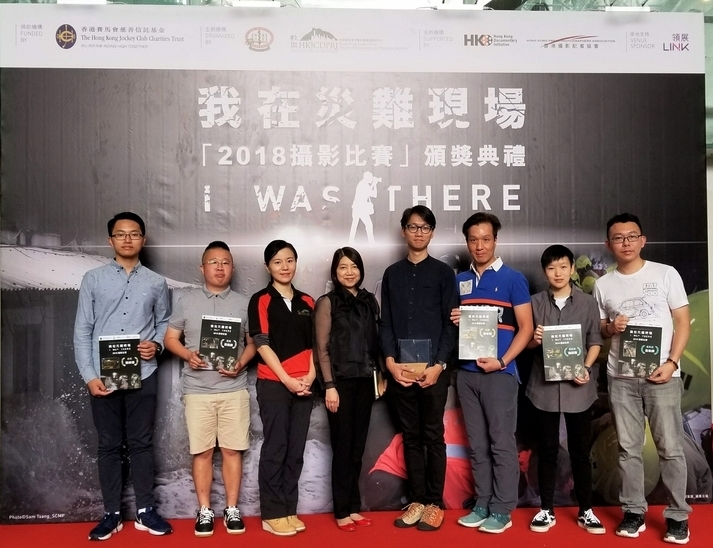 The Civil Aid Service (CAS) has been organizing annual "Mountaineering Safety Promotion Day " since 2005, to raise public awareness of mountaineering safety. In 2016, HKJCDPRI was invited to join force in this meaningful event. 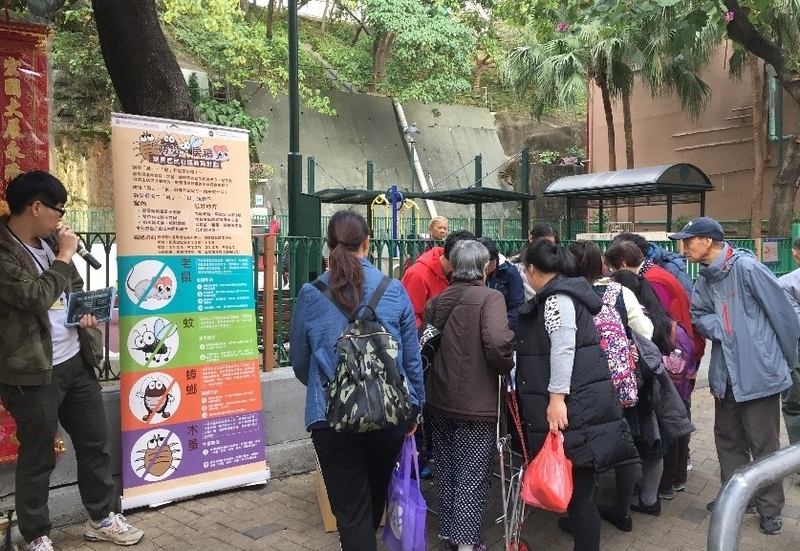 With contributions from 21 government departments, mountaineering organisations and medical groups, the "Mountaineering Safety Promotion Day 2016” was successfully concluded on 6 November 2016 at Kowloon Park, Tsim Sha Tsui. 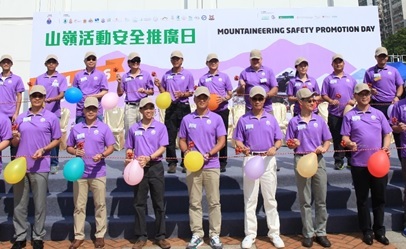 Ms Eva Lam (back row, third from right), Director of HKJCDPRI, attended the opening ceremony of Mountaineering Safety Promotion Day 2016. 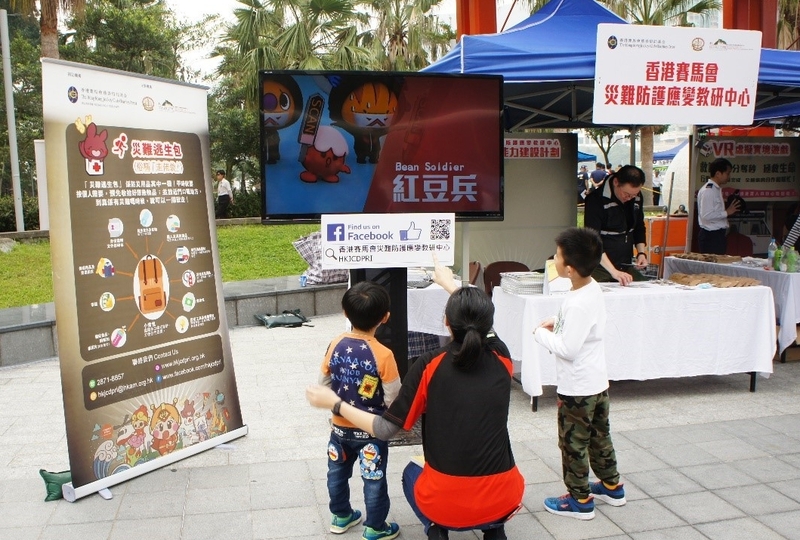 HKJCDPRI set up an interactive educational booth on the event day to promote awareness on self-protective measures for potential hazards such as fire, earthquake, floods and infectious disease outbreaks. 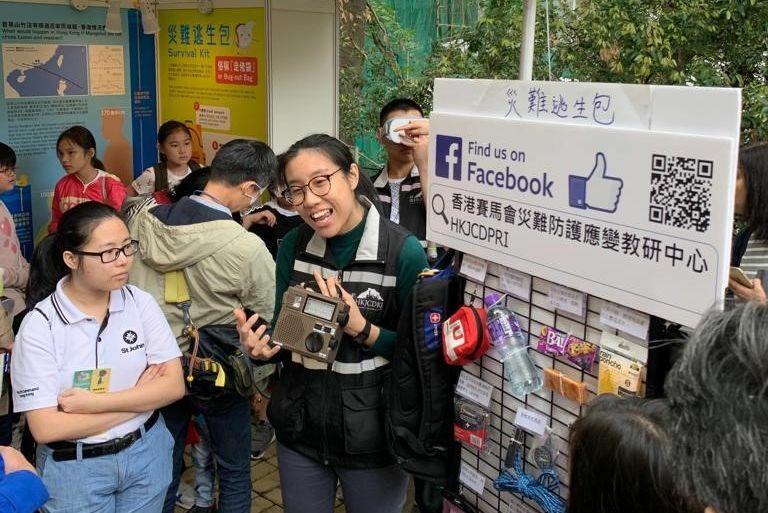 Participants also enjoyed visiting information and gaming booths set-up by other supporting parties which showcased comprehensive safety and rescue equipment, emergency communication devices, mobile apps, etc. Talks and experiential activities were also arranged to provide an all-rounded understanding on the issue. 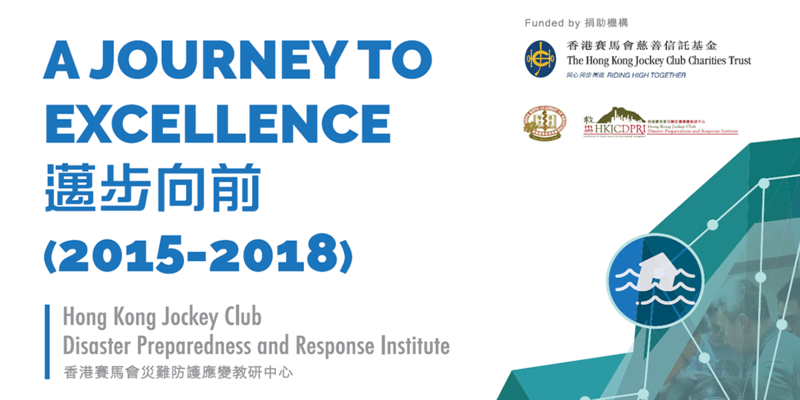 The HKJCDPRI would continue to work hand-in-hand with other stakeholders to enhance public awareness on disaster preparedness and total resilience of the society. 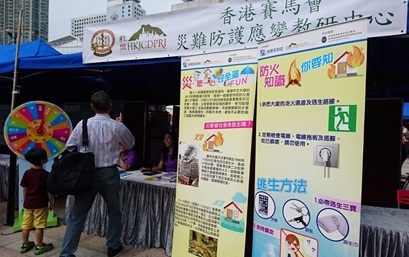 Interactive educational booth set up by HKJCDPRI to promote disaster preparedness.